Corning introduced its latest iteration of the Gorilla Glass two weeks ago and manufacturers are fast to take advantage of the new glass. 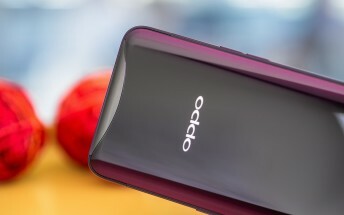 The company says that Oppo is going to be the first OEM to integrate it into its new smartphone. Corning adds that more smartphone makers are looking to take advantage of the protective glass and it's working closely with them. The Gorilla Glass 6 is said to be two times more durable than its Gorilla Glass 5 predecessor. This means that the material can survive 15 drops from 1 meter and it's considerably more resistant to pressure. The results are achieved thanks to an entirely new chemical composition. We are expecting Oppo's upcoming flagship R17 to debut with Gorilla Glass 6 given the fact that the Find X and R15 both came with Gorilla Glass 5 on top.